Our composite entrance doors come in three ranges. Our Sliders composite range, our Solidor range and our English Door Company range for that something extra special. All three ranges feature robust and durable locking mechanisms in addition to a great colour range to choose from. Each have their own unique features and benefits, furniture options, and price tags. All of these things can be discussed with one of our team at an appointment or at our showroom. Alternatively, we can send brochures by email and post. 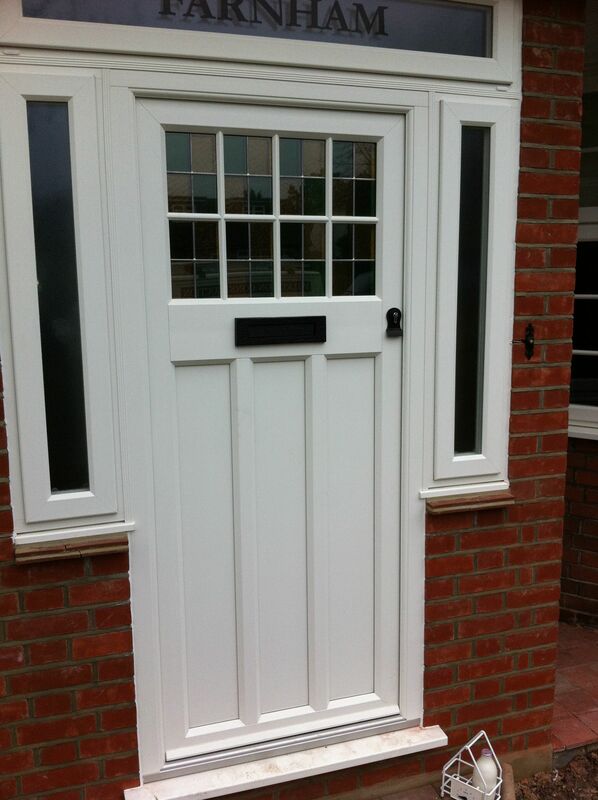 You can also head over to our gallery to see more images of these door ranges as well as photos of our installations. There are different composite doors on the market which all have a slightly different makeup. Generally, they are made from GRP (glass-reinforced plastic) which is the composite part of the doors. This is what gives the doors their good thermal and security values. They are also a good middle ground for customers who want the look of a timber door but without the cost or maintenance of one. Ultimately, the advent of composite doors has given homeowners more design and colour choices than they get with uPVC doors, for instance. Are available in a great range of colours including black, red, grey, white, chartwell green and even aubergine! Create a truly stunning entrance at a fraction of the cost of a hardwood timber door. Require no maintenance or re-painting. Don’t swell or bow over time like timber doors. Are very thermally efficient, water and draught proof doors. Operate smoothly year upon year.  Come with our full 10 year insurance-backed guarantee, which covers the frame, slab and installation.  Feature multi-point shootbolt and hook bolt locking with the option to upgrade to the ‘Secured By Design’ specification, a police recognised security standard. 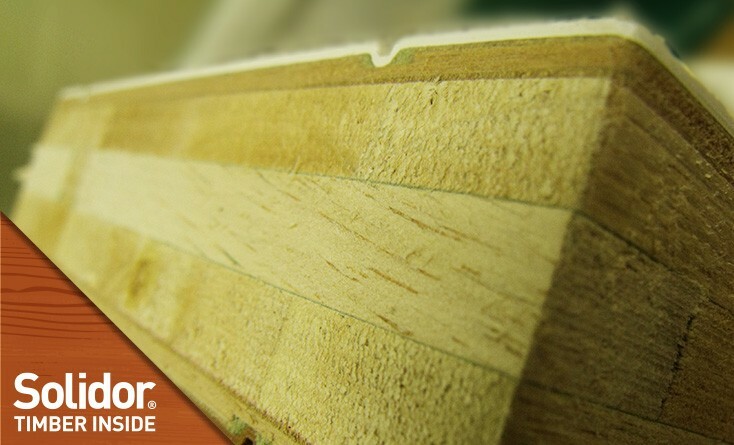 Our standard and most popular range of composite doors is our Sliders range. Available in many designs and colours, our customers do tend to find exactly what they were looking for within this range. Made with the latest GRP door slabs and fitted with multi-point locks, our Sliders composite doors are thermally efficient, draught and water proof and secure. We can even get our Sliders doors to comply with the stringent Secured By Design police-recognised standard. We’ll be more than happy to email or post you a brochure with the entire selection for you to look at in your own time. Boasting a huge range of colours and many unique designs, our Solidors are for those looking for something a bit out of the box; something special.  Made with a solid timber core, the the well-known industry slogan, “Sounds like a Solidor” was coined, referring to the sturdy and timber-feel of Solidors. 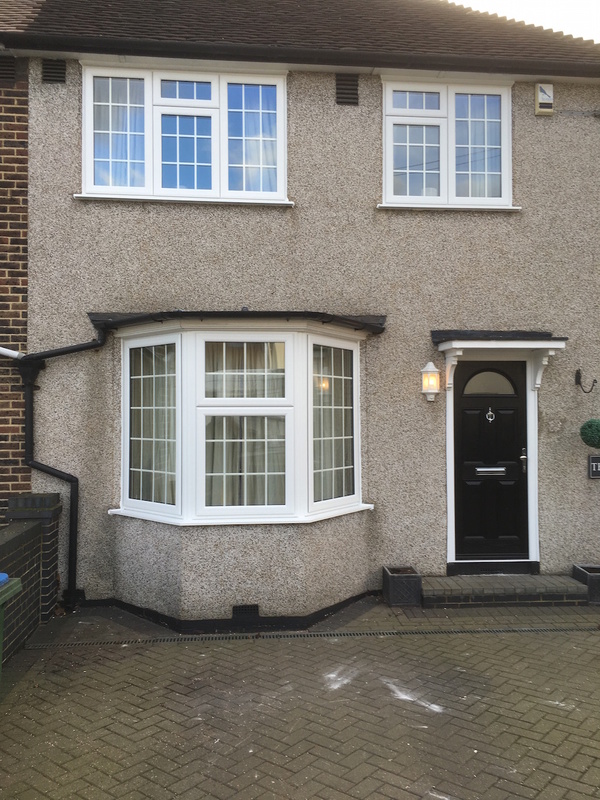 As with any other composite door, our Solidors are fitted with multi-point locks and are thermally efficient and draught/water proof. As with any of our products, we’d be more than happy to email or post a brochure for your perusal. 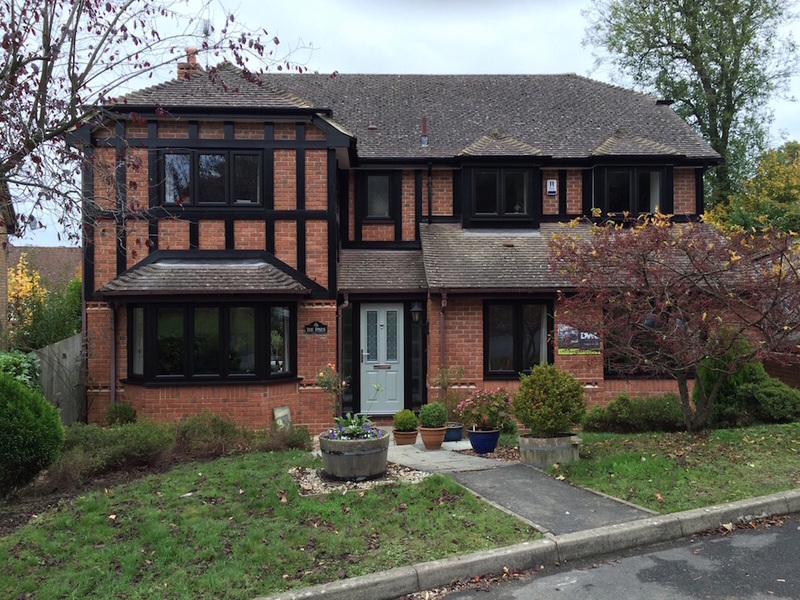 Black uPVC windows and Solidors transformed this Kentish home. For our customers going for a traditionally heritage look, an English Door Company door has often been the answer. 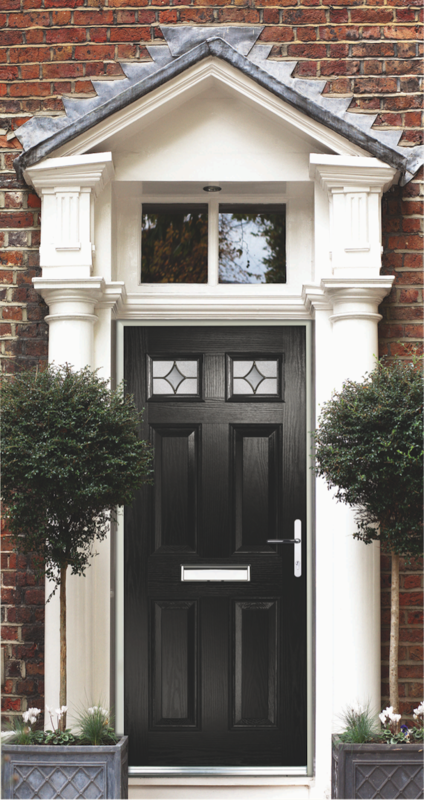 With an extra-thick composite uPVC core, the English Door is maintenance-free and sturdy as well as beautiful. These doors not only come in unique designs that can only be found in timber elsewhere on the market, but they replicate timber too, with mechanically joined outer frames, creating an alternative to timber front door collection. Perhaps our customers favourite aspect of this range is the fantastic hardware range. That is, the handles, knockers and letterboxes, which are all very sturdy and look absolutely great. Please get in touch and we can arrange a brochure to be emailed or posted out to you. Come and see the options. We would be more than happy to walk you through the different product at our showroom, where we have all on show. 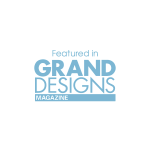 When it comes to choosing the main entrance door to your home, we think that it is only right that you see all the options and exactly what you’re ordering before you do so. This is why we have invested so much time into designing our head office and showroom.